Faced with opportunities and challenges during new development of China’s construction machinery industry, enterprises are gradually required to pursue connotative growth with quality benefits in the current market environment. So, under the concept of “focusing quality, focusing customers, focusing markets”, Shanghai Zenith launches a series of jobs, including technology escalation and structural adjustment, which then put the lean management concept into each part of enterprise value chains to promote the reliability of products and stability of process, especially paying attention to R & D of new products and host features in terms of product differentiation. To launch individualized products with higher performance can create a crucial support for product technology innovation and differentiation. 1. Market Advantages: with the rapid development of national economy and infrastructure construction, there are mounting demands on sand aggregates in mine crushing; meanwhile, with the development of circular economy, resource recycling has also become a big attraction in today’s economy; for example, the newly researched K-series mobile plant aimed at recycling of construction waste can rapidly process construction waste and turn it into wealth. 2. 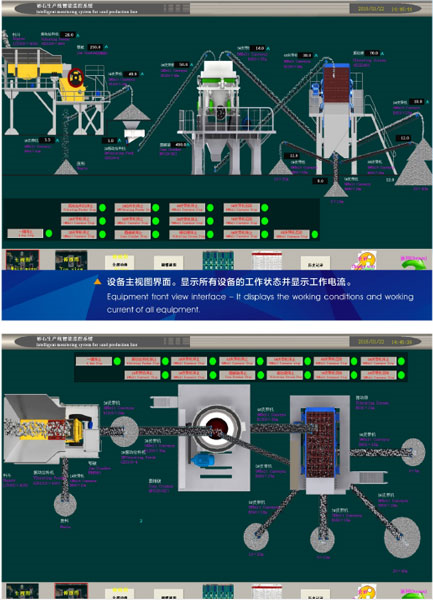 Resource Input: Zenith currently has 6 large-scale production bases, which occupies 0.6 million square meters, including modernized processing equipment, advanced Solidworks three-dimensional design system, simulation test system and first-rate production line & modernized testing bases. Besides, there is a research team with comprehensive disciplines and high levels, which boasts 60 senior engineers; the annual R&D expenditure has accounted for over 3% of total sales and the number of research and technology staff has accounted for 16% of total staff; the national patents have been accumulated up to 124. All products are in accordance with International Quality Certification System Standards for design, production, assembly and test, which thus have successfully passed certification of ISO 9001:2000, CE (EU) and GOST (Russia). 3. Technology Support: Technology Research and Development has become one key reason for the eternal vitality of Zenith crushing and screening equipment because Zenith has been continuously updating equipment according to market and customer demands. Under the environment of energy conservation and protection, the complete green construction material solution launched by Zenith is devoted to providing the most environmentally-friendly, most efficient and advanced solutions for sand-making enterprises, construction waste recycling enterprise and dry mortar enterprise. The process adopts industrialized environmentally-friendly production model, namely producing dry intervention mortar mix, high-quality manufactured sand, concrete and pre-fabricated parts with tailings and construction wastes as raw materials, so this process has advantages of high efficiency, environmental protection and high investment value. 4. Service Promotes Brand Power: as one important embodiment of soft power, excellent and thoughtful pre-after sales service can better improve brand influence. In view of the current crushing and screening industry, Zenith needs to launch the project total package service, namely the “turn-key” service project, which is aimed at customers’ convenient operation demand. Such service runs through all parts, including onsite surveys, process designs of production lines, raw material test, finished product analysis, investment costs budget and equipment installation & regulation, which can avoid operation delay for lack of resources. So, the project total package service has won customers’ high praise because it can maximize operation convenience and satisfy urgent requirements of customers. For the past over three decades, Shanghai Zenith has won trust from customers both at home and abroad by virtue of its best quality, continuously innovative concepts and attentive service. In future, guided by national polices, Shanghai Zenith will endeavor to develop more high-efficient and environmentally-friendly crushing & screening equipment on the basis of market and customers demands.